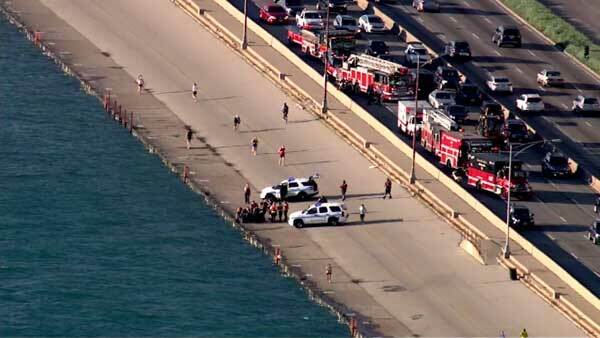 CHICAGO (WLS) -- A body was pulled from Lake Michigan along Lake Shore Drive just north of Chicago Avenue. Someone saw the body floating in the water near the seawall and called 911 around 6:30 a.m. Tuesday. Emergency crews responded to the 800-block of North Lake Shore Drive and recovered the body from the lake. Fire officials said the victim was male and appeared to be in his 40's.